At the 68th German Film Awards 3 TAGE IN QUIBERON (3 DAYS IN QUIBERON) and IN DEN GÄNGEN (IN THE AISLES) achieved eight Lolas collectivly. 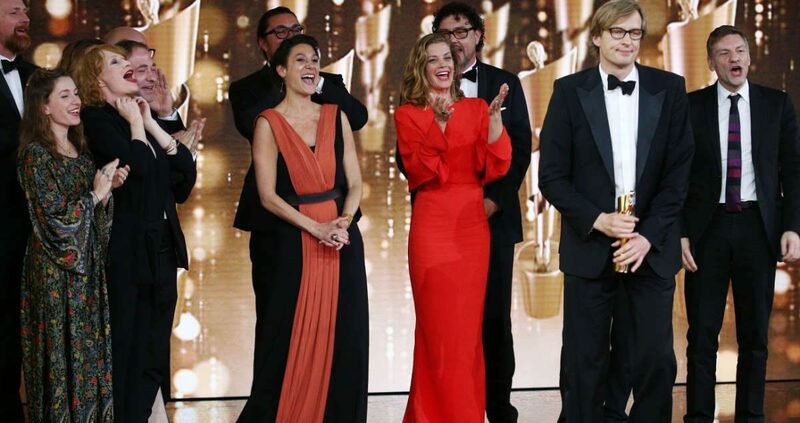 10 times nominee 3 TAGE IN QUIBERON (3 DAYS IN QUIBERON) was awarded seven times, including “Best Picture” and “Directing” for Emily Atef and three Actors’ Awards. Marie Bäumer has been honored as “Actress in a Leading Role”, her co-cast Birgit Minichmayr and Robert Gwisdek as “Actress” and “Actor in a Supporting Role”. Director of Photography Thomas W. Kinnast and film composers Christoph M. Kaiser and Julian Maas convinced the Academy in their categories. Franz Rogowski got the Lola as “Best Actor in a Leading Role” for his performance in IN DEN GÄNGEN (IN THE AISLES) by director Thomas Stuber.